The client is a leading American packaging and food specialist. They are a reliable, food packaging supplier in the southern California area. The client was looking for a reliable image clipping service provider who could help them with accurate e-commerce image clipping services. They wanted a large number of images clipped within a quick turnaround time. The client wanted to test out our services before outsourcing the entire project to us so they opted to go for a trial run. The trial run lasted for a day and we assigned one full-time resource for the same. The client sent us 5 images and we delivered the image clipping services within a quick time. The client was highly impressed by the trial run and decided to outsource the entire project to us. We assigned one full-time resource for the project and was assigned to provide e-commerce image clipping for about 100-150 images in a day. The client would provide the input images via a secure FTP channel in the JPEG format. 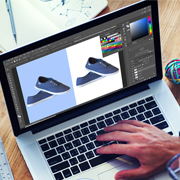 Our team would leverage the Adobe Photoshop software and deliver the images in the JPEG and PSD format within a quick time. The client was extremely delighted by the results we delivered to them in such a short time. 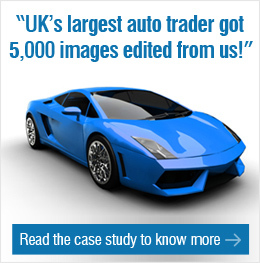 Our team delivered over 16,000 images to the client within a quick time. They were not only impressed by the quick turnaround time but also the cost-effectiveness of the project. Outsource2india has been a pioneer in providing accurate e-commerce image clipping services and a series of other image editing services to clients around the globe. Our team comprises some of the most qualified and trained image editing experts who can cater to any of the client's needs. We leverage the latest and best image clipping tools and technologies. Are you looking for a professional image clipping service provider? Then look no further. Get in touch with us today!